Safety protocols are in place for occupational safety and accident prevention purposes, and must be noted. In order to protect yourself and your colleagues from harm, your cooperation is necessary. Always work with care, and always be aware that hazards are often not obvious. To ensure safe operation, the operator must ensure that the persons working on or with the device have been informed of the potential dangers of laser radiation. 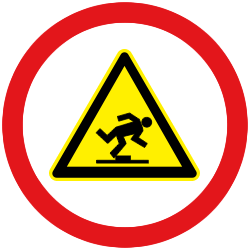 Accident prevention regulations and the associated manual must be made accessible at a suitable location (BGV A1, Chapter 2, § 12). Please use this operating manual! Wear laser safety glasses when the laser beam is switched on! Disconnect power before opening the projector! Before working on active parts of electrical systems and equipment, a voltage-free state must be established and ensured for the duration of the work! Electrostatically sensitive devices! Pay attention to earthing! Avoid friction! Do not look into the beam or look directly at optical instruments! For all electrical and mechanical work, sufficient stability and a secure hold must be ensured. The following safety instructions are based on the statutory accident prevention regulations for electrical equipment and systems. The employer must also ensure that the electrical systems and equipment are operating in accordance with electrical engineering regulations. 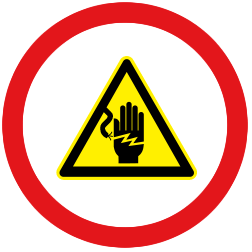 According to BGV A3, § 6, work must not be carried out on live active parts of electrical installations and equipment. 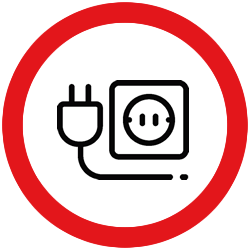 In the event of a fault in the electrical power supply, the device must be switched off immediately. Laser projectors contain highly sensitive components that pose an electrostatic risk. Do not try to repair the projector yourself. 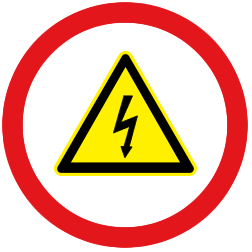 Take measures against static discharges and electric fields in accordance with DIN EN 61340 – 5 -1 or VDE 0300 – 5 – 1. Pay attention to proper grounding! Avoid friction! 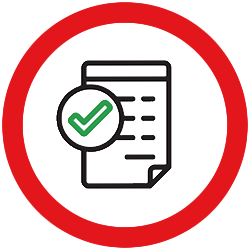 If a laser beam is used by class 2 (or higher) laser devices in a work or high traffic area, the employer must ensure that the laser range is marked clearly and permanently in accordance with statutory provisions. There should be no mirrors installed in the laser beam area in order to avoid dangerous reflections. 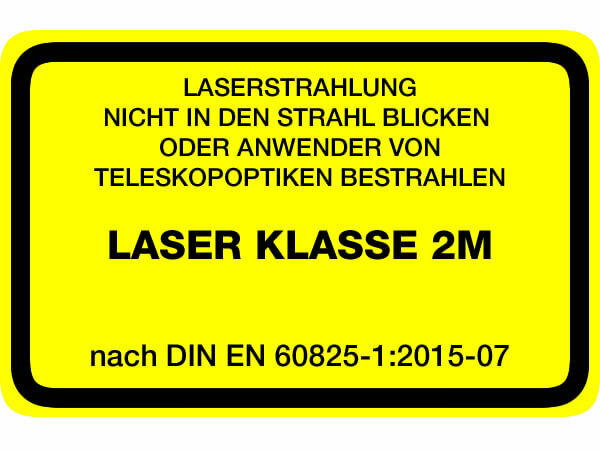 Avoid looking directly at the lasers and never look into the laser beam with optical instruments! If the laser beam makes contact with your eyes, close them and turn away immediately. Make sure you are aware which laser class your device is assigned to. The laser class can be found on the rating plate on your device. Accessible laser radiation is foreseeably safe under current conditions. Protocols associated with foreseeable conditions are complied with during regular operation. The limit value of the accessible radiation of DIN EN 60825-1: 2001-11 in the laser classification wavelength range from 400 nm to 1400 nm is the same between 100 s and 30,000 s.
Accessible laser radiation is in the wavelength range from 302.5 nm to 4 000 nm. Accessible laser radiation is harmless to the eye, as long as its cross-section is not reduced by optical instruments (magnifying glasses, lenses, telescopes)! Unless optical collecting instruments are used which reduce the beam’s cross section, class 1M lasers pose a comparable risk to class 1 laser devices. When using collecting instruments optically, hazards comparable to those in class 3R or 3B can occur. Accessible laser radiation only occurs in the visible spectral range (400 nm to 700 nm). Short-term irradiation (up to 0.25 s) is safe for the eyes, which are further protected by accidental short-term observation into the laser by the natural eyelid reflex. For class 2M lasers with continuous irradiation, the limit value of accessible radiation (GZS) is 1 mW. Class 2M laser devices may be used without further protective measures if it has been ensured that it is not possible to look intentionally for longer than 0.25 s, or to look repeatedly into the laser radiation, or to look directly into reflected laser radiation. In addition, it must be ensured that no optical collecting instruments are used in the projection area. For class 2M laser devices, there is generally no additional laser area to be secured if the only irradiation of persons possible during the operation of these laser devices is incidental and no optical collecting instruments are used. For class 3R continuous-wave lasers, the GZS limit is 5 mW. Accidental reflections must be avoided. A laser safety officer is not required for systems that emit laser light in the visible range. Even beam displays, interlock, and key switches are not required in the visible wavelength range. There are no special requirements for eye protection or protective clothing. Operating and maintenance personnel must be trained to handle laser equipment. 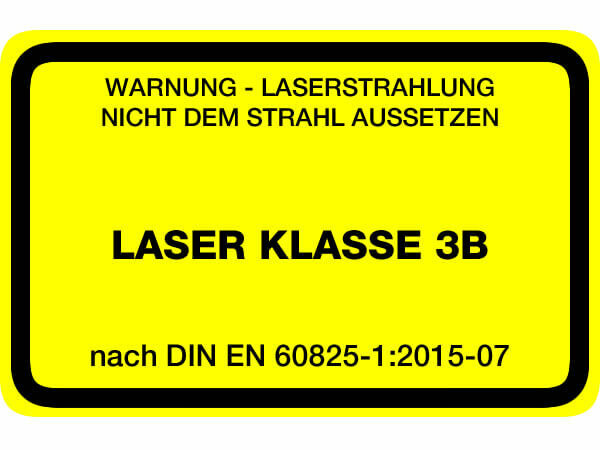 Laser class 3B is dangerous for the eyes and potentially also for the skin. No one should be exposed to the laser beam. Diffuse scattered laser radiation is not dangerous, as long as a viewing distance of 13cm and a viewing time of less than 10s is guaranteed. There is a risk of fire when the laser beam is in contact with flammable materials. Maximum output power is 500mW. When setting up and operating within the working range of a laser beam, wear suitable protective clothing, laser goggles, and gloves. 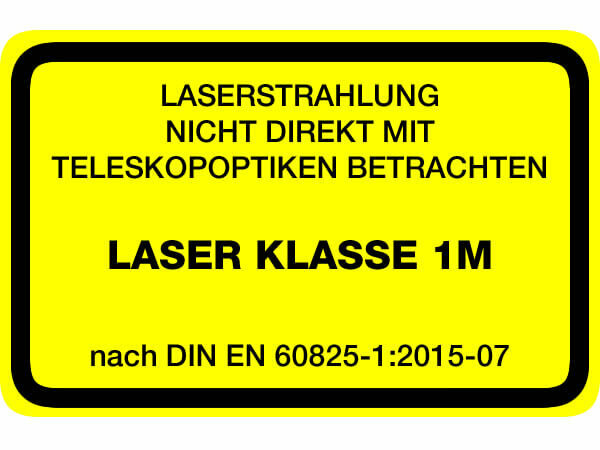 The working area of the laser beam must be marked with appropriate warning signs. 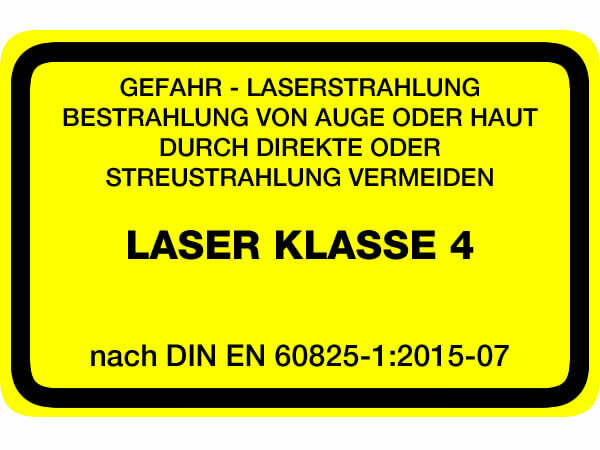 Laser equipment must be protected against unauthorized use. An additional visual warning light displaying “Laser in operation” must be signalled when the laser is switched on. The warning light must also be clearly visible from a greater distance. The laser beam must not extend past the designated working area. There must be no reflective surfaces in the work area. 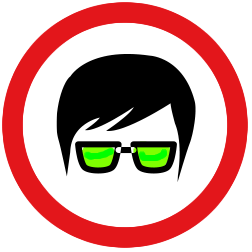 Before the laser is put into operation for the first time, a laser safety officer must be identified and registered. 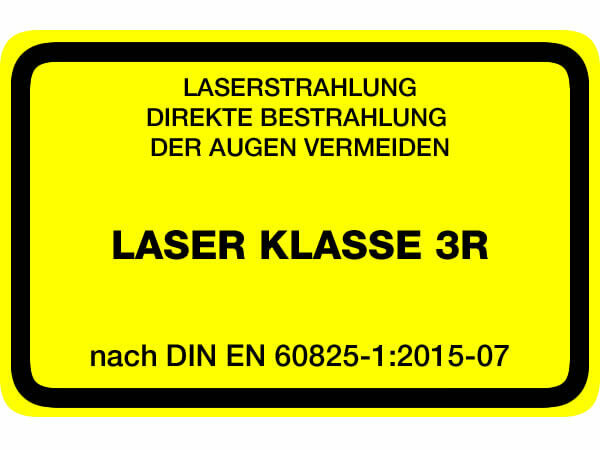 Courses for laser safety officers are offered in Germany by the TÜV, professional associations, or similar institutions. Accessible laser radiation is very dangerous to the eye and dangerous to the skin. Diffuse scattered radiation can also be dangerous. Class 4 laser radiation can cause fire and contribute to explosion hazards. Accessible laser radiation is very dangerous to the eye and dangerous to the skin. Diffuse scattered radiation can also be dangerous. The laser radiation can cause fire and explosion hazards. Note: Class 4 laser devices are high power lasers with output powers exceeding Class 3 B GZS limits. Laser radiation from Class 4 laser equipment is so intense that any kind of eye or skin exposure can cause damage. If necessary, secure access to the room through locks or door shutters (laser shut down) if the level of risk requires it. In addition, when using class 4 laser equipment, it must always be verified that adequate measures against fire and explosion hazards have been taken; see also § 10 Laser Radiation (previously: BGV B2) and § 16 Laser Radiation (previously: BGV B2) of the Laser Radiation Accident Prevention Regulations. Marking requirements are fulfilled if the warning sign W 10 labelled “Laser Beam Warning” is visibly affixed in the workplace along with the corresponding additional plate in accordance with Annex 2 of the UVV safety and health protection marking regulations. The operator has to ensure–in accordance with BGV B 2, § 8–by technical or organizational measures, that irradiation above the maximum permissible level (including reflected or scattered laser radiation), is prevented. Laser radiation emitted by laser equipment classes 2, 3A, 3B or 4 may only extend as far as needed for the specific operation to be carried out. As much as possible, the beam must be limited at the end of this necessary distance with the use of a diffuse reflecting target surface in such a way that any threat from direct or diffuse reflection is minimized. As much as possible, unshielded laser beams outside of working and high traffic areas should run in a small, not easily accessible area, in particular above or below eye-level. To protect against dangerous reflections, tools, accessories, and adjusting devices used in the laser sector should not have reflective surfaces, and those objects present in the laser area should not be visibly reflective. Optical components should be mounted immovably to keep the beam in a predetermined, very narrow solid angle (the “beam path”). No mirrors should be brought into the beam path, as they can also cause dangerous reflections. Suitable eye protection devices that comply with DIN EN 207 standards provide protection against direct, specularly reflected, or diffusely scattered laser radiation. Despite eye protection devices, however, direct eye contact with the beam should be avoided.